If you feel fairly comfortable with Rust but are still having issues following this text, you might want to read my book about improving the performance of your Rust applications. It should give you all the previous knowledge required for this read. As you can see, there are only 2 operations being done with the variables: 2 multiplications (ab and cd). This will take at least 2 instructions in the CPU, depending on the CPU model, but with SIMD, we can do it in only one instruction. You might be thinking why do we care about one or two instructions in our whole program, right? Well, we usually don’t have only one multiplication in our code, we most of the time will do these operations in iterations, so it would be nice to be able to perform them in parallel with only one instruction every 2, 4, 8 or even more of them. Also, we sometimes have time/money constraints for our code, and we need to be able to run a high performance implementation of our code. Different kinds of SIMD instructions will allow us to do that for our various operations. Let’s learn how to do this with an example. If we want to know where the planets of the solar system are at a given point in time (around 2,000 AD± 4,000 years, depending on the planet), a great tool we can use is the VSOP87 algorithm. This algorithm has 6 variations, but for our example here, we will just take the main variant into account. The algorithm just computes a series of polynomials for each of the orbital elements of the planet in question. For each planet, we will get 6 orbital parameters, that can easily be later converted to Keplerian orbital elements. We won’t go into much detail on which parameters get generated, but you can learn more in the documentation for the parameters in my Rust VSOP87 library. Many new things here, I know, but, as you can see, the calculation is simple, only a few polinomials, and only done once, so even if we can optimize these calculations with SIMD, it doesn’t make much of a difference. At least if we don’t need to calculate the position for the planet many times per second, which could be a real use case in a simulation, for example. In any case, let’s see what those variables are. The t variable is the time variable, the variable that tells the algorithm for what moment does it need to calculate the position of the planet. It’s a Julian year, and can be calculated from a Julian date. 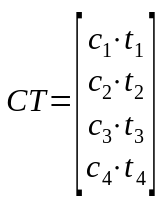 Then, for each variable, we have from 3 to 5 coefficients, depending on the variable being calculated, and then are multiplied by the t variable with different orders. Those coefficients depend on the t variable, as we will see now. First, we should know that the VSOP87 algorithm provides some huge data-sets of constants that are used in the calculation of those variables. For each variable (a₀, a₁, a₂, a₃, a₄, l₀, l₁, l₂…) we have one bi-dimensional matrix or array for each planet. Each matrix, has 3 columns and n rows. For example, here you can see the ones for Mars. 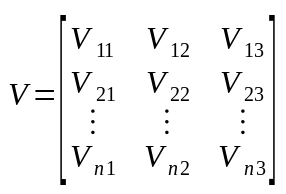 Where v is one of a₀, a₁, a₂, l₀, l₁… and n is the number of rows in the matrix / array. This formula might be a bit complex, but let’s see what it’s doing. For each 3 elements in each matrix / array row (we call them Vᵢ₀, Vᵢ₁ and Vᵢ₂, or simply a, b and c in the code) in , we calculate a * (b + c * t).cos(), (note that this is Rust notation) and then we just sum all of them. And this is where what we saw before gets handy: this function can be optimized with SIMD, since we are performing multiple operations that could be done in parallel. Let’s learn how to do it. SIMD is the general name that receive multiple parallel computing implementations for different CPUs. In the case of Intel, we have SSE and AVX implementations, each of them with different versions (SSE, SSE2, SSE3, SSE4, AVX, AVX2 and AVX-512), ARM has Neon instructions, and so on. Rust enables SSE and SSE2 optimizations for x86 and x86_64 targets by default. These are pretty old and any x86 processor being used today should handle them properly. In any case, these optimizations are done by the compiler, and it’s not as good as we as programmers can be. With Rust 1.27, we can use SSE3, SSE4, AVX and AVX2 manually in the stable channel. AVX-512 is not yet included in the standard library, but it should come soon enough. In any case, only specialized processors, and processors coming later this year bring that instruction set. If we want to use vectorization in our Rust code, we have to use the std::arch or core::arch modules (depending if we are using std or not). In there, we have modules for different architectures. For this example, nevertheless, we will be using the AVX instruction set in the x86 and x86_64 sub-modules. Why AVX, you might ask? Well, it has all the instructions we need to compute the calculations 4 by 4 (we will be working with 64-bit floating point numbers) and we don’t have access to AVX-512, that would allow 8 by 8 computations. AVX has 256-bit registers, that can compute 4 64-bit computations at the same time, or 8 32-bit computations, or 16 16-bit computation, or even 32 8-bit computations. We will be using 2 functions: multiplication and addition. AVX functions start with _mm256_, then, they get the name of the operation (add, mul or abs, for example ) and then the type they will be used on (_pd for doubles or 64-bit floats, _ps for 32-bit floats, _epi32 for 32-bit integers and so on). The is_x86_feature_detected! () macro will check at runtime if the current CPU has the AVX instruction set. If it does, it will execute the calculate_var_avx() unsafe function. If not, it will just fall back to the default, non-AVX implementation. This makes the code portable: compile once, run everywhere. Now, let’s first import some functions we will use. Note that some of this code will be much nicer once stdsimd gets stabilized. This function, as you can see, receives 4 tuples (aᵢ, bᵢ, cᵢ) and the t variable. It will return the 4 intermediate terms after computing aᵢ * (bᵢ + cᵢ * t).cos() for each of the tuples. For that, we will follow the strategy of computing first cᵢ * t, with the 4 tuples, then bᵢ + cᵢ * t, then, (bᵢ + cᵢ * t).cos(), and finally, we will multiply aᵢ by the result of the cosine. // Safe because both values are created properly and checked. // Safe because bct_unpacked is 4 f64 long. // Safe because bct_unpacked is 4 f64 long, and x86/x86_64 is little endian. Here, we have to take something into account: x86/x86_64 is a little endian architecture, which means that the bytes will be stored with the highest value at the lowest index. 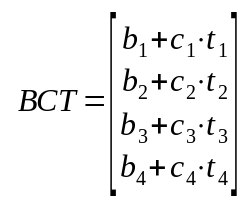 What means that when we unpack the bct vector, the first element will be b₄ + c₄ * t₄, instead of b₁ + c₁ * t₁. We are asking the Rust compiler to enable the AVX feature for this particular function. This means that the function must be an unsafe function: we will need to check if the current CPU supports AVX before calling it safely. If you remember from before, we were already doing it. // The result is little endian in x86/x86_64. As you can see, using the chunks() iterator, we get arrays that we can pattern-match since Rust 1.26. The first and obvious pattern is having a chunk of 4 tuples that we can directly use in the vector_term() function we defined earlier. The issue with the chunks() iterator is that it will return non-complete chunks if the array length is not a multiple of the chunk size — in this case, 4. It wouldn't happen with exact_chunks() iterator, but it would discard the extra tuples. At the end of the iterator, that will return intermediate terms, we call the sum() iterator to add everything into a f64. Note that this could be SIMD-optimized by taking elements 8 by 8, adding them 4 by 4, and then 2 by 2 and so on, but it's out of the scope of this explanation. For the case of 3 tuples, we can just add some NaN on the fourth tuple and discard the result when calling vector_term(). For the case of 2 tuples, we just compute the terms and let the compiler try to optimize it, and for one tuple, we just do it right away. After running benchmarks with all the variants and planets, the improvement is about 9% to 12%. And this was only optimizing part of the loop and only with some AVX functions. AVX-512 should clearly improve this benchmark, and being able to compute the cosine in AVX should also help. There are libraries such as faster and simdeez that can help you develop this kind of code for different situations. In the case of faster, though, it will use SIMD for the compiling processor, which makes the code run fast in the processor the code is being compiled in, but can have portability issues in other processors. 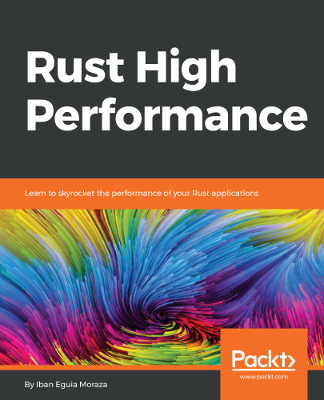 If you would like to improve even further the performance of your Rust applications, you can check my book: Rust High Performance, that was recently released. It will teach you multiple techniques to forget the idea that Rust is not as fast as the rest of the systems programming languages.